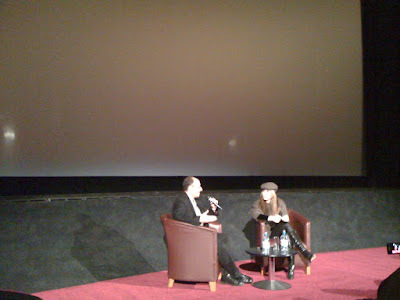 This evening Momentum Pictures hosted a screening of The The Girl With The Dragon Tattoo and a QA session run by Anwar Brett with The Girl herself, Noomi Rapace. Some interesting bits about adapting Stieg Larsson's trilogy The Girl with the Dragon Tattoo, The Girl Who Played with Fire, The Girl Who Kicked the Hornet's Nest, her new film Beyond and David Fincher's remake and Sherlock Holmes 2. Full post up soon.